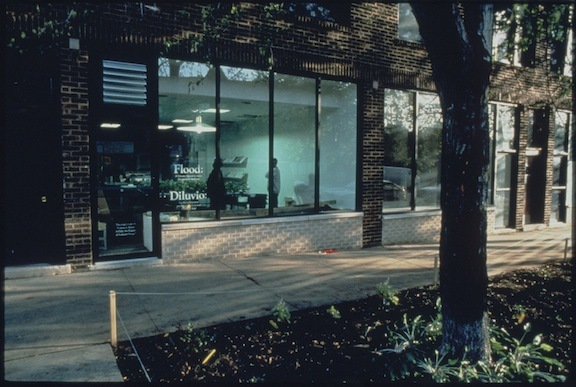 The project consisted of a hydroponic garden built in a storefront in Chicago. The artists collaborated with a group of people to grew kale, collards, mustard greens, swiss chard and other therapeutic herbs used as therapy for HIV-infected patients. Flood provided free meals, educational activities, a public programme of events related to alternative therapies, nutrition and horticulture. After the project was over, Flood users and activators continued to volunteer at social service organisations especially related to the support of people infected with HIV/AIDS. Thanks to Flood an HIV/AIDS facility opened in Chicago and it contained a food pantry, an alternative high school and a community centre. Flood was developed in other communities (Dekalb, Illinois; Cedar Rapids, Iowa), each of which developed the project relative to the local context. To promote community health care. 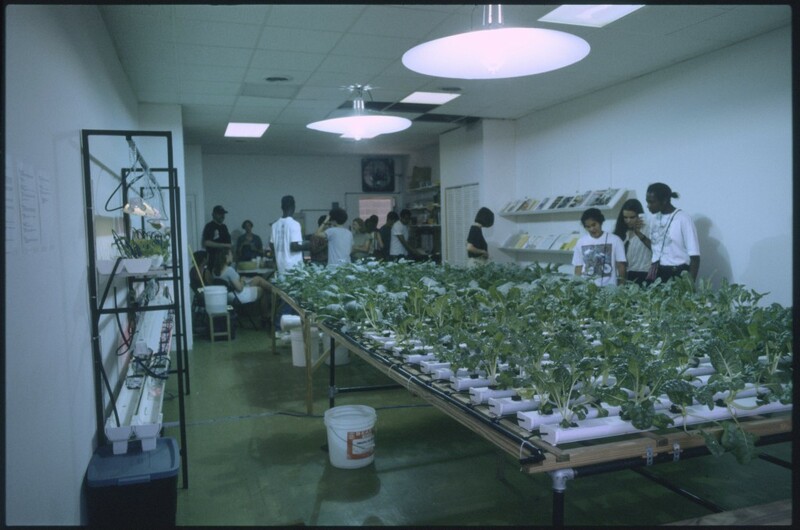 Flood served as a service provider, offering educational activities, public events, biweekly meals, and information on alternative therapies, local HIV/AIDS services, nutrition, and horticulture. Sculpture Chicago provided the materials and rent.